Dr. Oakes joined the department of Emergency Medicine at UT Health in 2002. 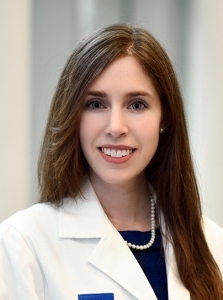 She has been part of the residency education team leadership since 2004, functioning as Assistant then Associate Residency Director with an active role in medical student mentoring. She has been the course director for the medical school’s Introduction to Clinical Medicine course and clinical course director for the Clinical Applications course since 2006. She has served as the medical school’s Pre-Clinical Skills Director since 2009 and was inducted into the University’s Academy of Master Educators in 2010. Dr. Oakes has served as a Geriatrics CHAMP on the Reynolds Grant since 2009, incorporating principles of geriatric medicine into EM education initiatives. She is passionate about international emergency medicine and has worked annually in Guatemala since 2004. 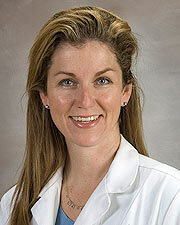 She was awarded the ACEP National Faculty Teaching Award in 2008. 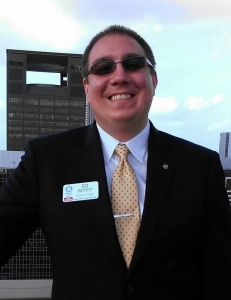 Ed Pettitt received his Bachelor of Science degree in Human Biology from Cornell University and is currently completing graduate work in Healthcare Management and Global Health at The University of Texas School of Public Health. Mr. Pettitt works as a Senior Project Coordinator for the Baylor College of Medicine International Pediatric AIDS Initiative at Texas Children’s Hospital (BIPAI) and Collaborative African Genomics Network (CAfGEN), where he advises on best practices in adolescent HIV care and healthcare transition and is helping to coordinate Africa’s first collaborative pediatric genomics initiative in Botswana and Uganda. Mr. Pettitt also helps to coordinate Genome Adventures, an innovative Wellcome Trust-funded community engagement initiative that utilizes participatory workshops, educational comics, and social media to engage the public in genomics and biomedical research. Mr. Pettitt serves on the Human Heredity & Health in Africa (H3Africa) Community Engagement Working Group and Education and Coordinated Training Working Group. Mr. Pettitt has also served as an HIV/AIDS technical expert for WHO, UNICEF, USAID, and FHI 360, and is co-founder of the Houston Global Health Collaborative, adivsory chair of the Cornell Global Health & Development Alumni Network, and co-chair of the board of directors for the Global Health Innovations and Action Foundation (GHIAF). Mr. Pettitt has been recognized as an Albert Schweitzer Fellow for Life and a Rotary International Paul Harris Fellow. In 2013, the Botswana-Baylor Children’s Clinical Centre of Excellence received NIH funding to support a network of 5 institutions called the Collaborative African Genomics Network (CAfGEN) to study the influence of host genetic factors on HIV disease progression in African children from Botswana and Uganda. In October 2014, CAfGEN received additional funding from Wellcome Trust to implement a community engagement project in Botswana utilizing capacity building workshops, educational comics, and social media to engage community stakeholders, media practitioners, and the general public – especially the youth – in genomics and biomedical research. Attendees of the community stakeholders and media workshops demonstrated average knowledge increases of 13% and 24%, respectively. Two educational modules on genetics, including ethical scenarios, were designed and delivered for 63 adolescents enrolled in Teen Club support groups, resulting in an average knowledge increase of 12%. Characters and storylines were developed for a 4-part comic book series. Dr. Kumar Alagappan is now Interim Chair of Emergency Medicine (EM) and Professor at MD Anderson, at the University of Texas. Previously he was a Professor in Emergency Medicine at the Baylor College of Medicine in Houston. He graduated from the Albert Einstein College of Medicine and completed his Emergency Medicine Residency at Northwestern University in Chicago. He has been practicing Emergency Medicine for almost 30 years. He was an attending in New York City at LIJ and started as an Assistant Professor at the Albert Einstein College of Medicine, and worked his way up to Professor at the Albert Einstein College of Medicine. He started the Combined EM/IM Residency and served as the Director for over 15 years. He also founded the International EM Fellowship at NS-LIJ, He has co-chaired over 20 International meetings and has been involved with the development of Emergency Medicine in several countries, most notably in India.Dr Alagappan was one of the Co-founders of the American Academy of Emergency Medicine in India (AAEMI) and also the Global Academy of Emergency Medicine (GAEM). Both organizations have been involved with the development and promotion of Emergency Medicine in India with their sister organizations (Society of EM, India) and also with several hospitals. Dr Alagappan has several areas of research, but he is probably best known for his work with tetanus. 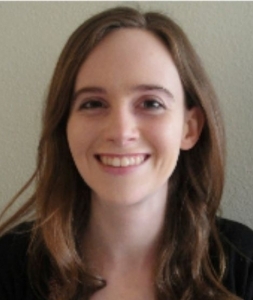 Dr. Rachel W. Davis graduated Phi Beta Kappa from Texas A&M University with a BA in History and BS in Psychology, then received her medical degree from Baylor College of Medicine (BCM), where she was selected for induction into the Gold Humanism Honor Society. She is currently a resident in the Michael E. DeBakey Department of Surgery at BCM. Dr. Davis is passionate about international surgery, education, and mobile medical technology, and is the creator of and inaugural participant in the Global Surgery Track. She was co-director of the first HGHC annual conference and is a current member of the HGHC Board of Directors. Seeing that there were gaps in contemporary general surgical education for those planning to practice in resource-limited settings, Dr. Davis envisioned and led the creation of the new Baylor College of Medicine Global Surgery Track. This two-year program incorporates international, rural, and subspecialty skills training and is the first of its kind in the country. She will discuss the creation of a medical curriculum from inception to reality, the role of surgery within global health, and the importance of interdepartmental collaboration in resident education. Sherri Bogard is a fourth year at Baylor College of Medicine and is applying to internal medicine residency with the goal of incorporating global health into her future career. In July of 2015, she had the opportunity to do a rotation abroad in Botswana with the BIPAI group and would like to share her experience with fellow students. 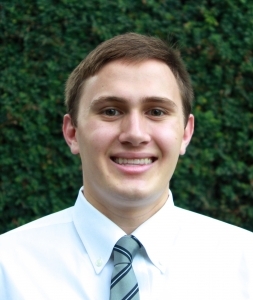 Spencer Seballos is a senior at Rice University majoring in Biochemistry & Cell Biology and Hispanic Studies. Supported by a Dr. John E. Parish Fellowship, Seballos taught English to health care professionals and medical students, and researched the cultural, political and developmental factors influencing health care and medical education in the Lao People’s Democratic Republic with Resource Exchange International in 2015.